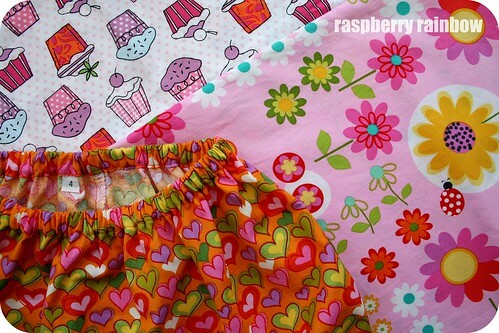 Today I am finishing off some new skirts for my big girl for kinder. She rarely wears skirts, except with her kinder t-shirts, so I made sure I used some cute fabric. She insists on wearing dresses most days. I also made her some matching fabric covered hair bobbles, which I could not photograph as she is already wearing them. Lots more Creative Spaces here. very sweet - she'll be the cutest girl there!! Beautiful! Punky doesn't have a kinder shirt, but I think I might make her some skirts anyway lol! Such cute fabric. I love skirts on little ones, bet she feels special in clothes Mum's made her!